james Yohana Odeesh Presidency of Duhok Technical University, Kurdistan Region - Iraq. Saad Fadel Abbas Al Mahmoud Department of Business Administration, Faculty of Management and Economics, University of Duhok, Kurdistan Region - Iraq. The present research aims to identify the role of human resource development in talent management and through the field testing of data from sample of the administrative leaders at Duhok Polytechnic University. The researchers built a default model benefiting from the theoretical literature on the subject, which deals with the nature of correlation and impact between the research variables (Human resources development and talent management). Therefore, three main hypotheses have been formulated. The data collection through questionnaire, which was distributed to the administrative leaders at Duhok Polytechnic University, and it was analyzed by using a set of statistical methods in the SPSS program. The research found a number of conclusions, the most important of which is that the more attention Duhok Polytechnic University has to activities (career planning, training, performance evaluation and career change), it enhances the ability to manage talent, and that the change in the university is one of the most important factors contributing to attracting talent, talent development and talent retention. While the most important suggestions indicate that Duhok Polytechnic University should recognize and understand that its survival and success is related to its ownership of the management and care of talented human resources. So, the functions, activities and strategies of this department are considered as part of the daily work and life of the Duhok Polytechnic University. Amanin, B.K., (2014), Identifying Employee Talent for Development and Retention (The Case of Some Selected FM Station in Kumasi), Thesis for Master Degree in Business Administration, Kwame Nkrumah University, Kumasi, Ghana. Anderson, K., (2013), Strategic Talent Management in a Communicative Perspective, Thesis for Master Degree in Corporative Communication, Aarhus University, Aarhus, Denmark. Chuai, X., (2008), Is Talent Management Just 'Old Wine in New Bottles'?-The Case Of Multinational Corporations in Beijing, Dissertation for Doctoral Degree of Philosophy, University of Teesside, Middlesbrough, UK. D'Ortenzio, C., (2012), Understanding Change and Change Management Processes: A Case Study, Dissertation for Doctoral Degree of Philosophy, University of Canberra, Canberra, Australia. Everts, G.L., (2001), A Study of Career Development Programs in Wisconsin Municipal Police Agencies, Thesis for Master Degree In Training and Development, University of Wisconsin Stout, Menomonie, USA. Goussard, C.D.T., 2008, Human Resource Development Strategy in the Provincial Government of the Western Cape, Dissertation for Doctoral Degree in Philosophy, Stellenbosch University, Stellenbosch, South Africa. Holland, D., (2015), Talent retention: an interpretive study of talent’s pull-to-stay post-acquisition – a multiple case study, Dissertation for Doctoral Degree in Management, J.E. Cairnes School of Business and Economics, Galway, Ireland. Kabwe, C.B., (2011), The Conceptualization and Operationalization of Talent Management: The Case of European Internationally Operating Businesses, Dissertation for Doctoral Degree In Business, University of Central Lancashire, Preston, UK. Karkoulian, S.K., (2002), Performance Appraisal in Higher Education, Dissertation for Doctoral Degree in Education, University of Leicester, Leicester, UK. Kenzhegaranova, M., (2008), National Human Resource Development in the Development World: The Republic of Kazakhstan, Thesis for Master Degree in Educational Human Resource Development, Texas A & M University, Texas, USA. Kravtsova, M.V., (2012), Talent Management and Implementation to Middle Sized Companies, Dissertation for Doctoral Degree in Economics and Management, Tomas Beta University, Zlin, Czechia. Mishra, A.K., (2012), A Critical Study of Human Resource Development Practices in Durgapur Steel Plant, Dissertation for Doctoral Degree in Business Administration, University of Burdwan, West of Bengal, India. Naik, S.A., (2012), Impact of the Talent Management on the Performance of an Organization with Special Reference to Abg; Pipapav; Bharati Shipbuilding Industries, Thesis for Master Degree in Business Management, Padmashree Dr. D.Y. Patil University, Mumbai, India. Ndlangamandla, K.C., (2011), Provision of Library and Information Management Higher Education and Training in Swaziland- A Feasibility Study, Thesis for Master Degree in Library and Information Science, University of Zululand, Mangeze, South Africa. Norman, B.R., (2014), State Government Managers' Practices in Workforce Planning and Talent Management: An Interpretive Case Study, Dissertation for Doctoral Degree in Education, University of ST. Thomas, ST. Paul and Minneapolis, USA. Oehley, A.M., (2007), The Development and Evaluation of A Partial Talent Management Competency Model, Thesis for Arts Master, Stellenbosch University, Stellenbosch, South Africa. Parker, M.J., (2014), Investment into Talent Management and its Influence on the Retention of Key Talent Employees: A Case Study of a Department in the Western Cape Provincial Government, Thesis for Master Degree in Human Resource Management, Cape Peninsula University of Technology, Cape Town, South Africa. Rajini, K.M., (2009), Human Resources Development in Higher Education In Kerala, Dissertation for Doctoral Degree in Economic, Cochin University of Science and Technology, Kerala, India. Riccio, S., (2010), Talent Management in Higher Education: Developing Emerging Leader within the Administration at Private Colleges and University, Dissertation for Doctoral Degree in Educational Administration, University of Nebraska, Lincoln, USA. Sadangharn, P., (2010), The Determination of Talent Retention in the Thai Public Sector, Dissertation for Doctoral Degree in Development Administration, National Institute of Development Administration, Bangkok, Thailand. Shayo, A.F., (2013), The Effects of Performance Appraisal System on Employees' Performance in the Tanzanian Community Radios: A Case of Selected Radios in Dar Es Salaam, Thesis for Master Degree in Human Resource Management, The Open University of Tanzania, Dar es Salaam, Tanzania. Twum,S.A., (2015), What Diversity Management Practices do Hotel Managers and Employees View as Important for Retaining Employees?, Thesis for Master Degree in Human Resources Management, Stavanger University, Stavanger, Norway. Ul Hassan, M., (2008), An Analytical Study of Human Resources Development Through in-Service Teachers Training and Development, Dissertation for Doctoral Degree in Human resource Development, National University of Modern Languages, Islamabad, Pakistan. Vatne, M. & Torgersen, K., (2014), Talent Management: What is the Value of Talent Management in Business Organization?, Thesis for Master Degree in Service Management, Copenhagen Business School, Frederiksberg, Denmark. Yllner, E.B.& Brunila, A., (2013), Talent Management- Retaining and Managing Technical Specialists in a Technical Career, Thesis for Master Degree in Science, KTH Industrial Engineering and Management Industrial Management, Stockholm, Sweden. Alsakarneh, A.A.A. & Hong, S.C., (2015), Talent Management in Twenty- First Century: Theory and Practically, International Journal of Applied Research, Vol.1, No. 11, p (1036-1043). Collings, D. G. & Mellahi, K., (2009), Strategic talent management: A review and research agenda, Human Resource Management Review, Vol.19, No. 4, p (304-313). Haslinda, A., (2009), Evolving Terms Human Resource Management and Development, The Journal of International Social Research, Vol. 2, No.9, p (180-186). Hejase, H.J. ; EL Dirani, A; Hamdar, B. & Hazimeh, B., (2016), Employee Retention in the Pharmaceutical Companies: Case of Lebanon, IOSR Journal of Business and Management, Vol. 18, No. 4, p (58-75). Isfahani, A.C.& Boustani, H.R., (2014), Effects of Talent Management on Employees Retention : The Mediate Effect of Organizational Trust, International Journal of Academic Research in Economics and Management Sciences, Vol. 3, No. 5, p (114-128). Iyria, R.K.; Namusonge, G.S. & Karanija, (2014), Effect of Talent Retention on Organization Performance in Companies Listed in Nairobi Securities Exchange in Kenya, European Journal of Business and Social Sciences, Vol. 3, No.1, p ( 47-58). Jain, D.; Sharma, A. & Sharma, V., (2012), Talent Management Strategies in Current Scenario, International Journal of Business and Management Research, Vol. 2, No. 9, p ( 496-501). Moczydlowska, J., (2012), Talent Management: Theory and Practice of Management; The Polish Experience, International Journal in Business Management and Economics Researches, Vol. 3, No. 1, p (432-438). Osaro, C., (2016), Talent Attraction and Employee Retention in Oil Firms in Rivers State, International Journal of Novel Research in Humanity and Social Sciences, Vol. 3, No.2, p (75-84). Rani, A. & Joshi, U., (2012), A Study of Talent Management as a Strategic Toll for the Organization in Selected Indian IT Companies, European Journal of Business and Management, Vol. 4, No. 4, p (20-29). Smith, A.N., (2014), Exploring Human Resource Development: Adult Learning and Education in the U.S., Forum for International Research in Education, Vol. 1, No. 3, p (1- 7). Waheed, S.; Zaim, A. 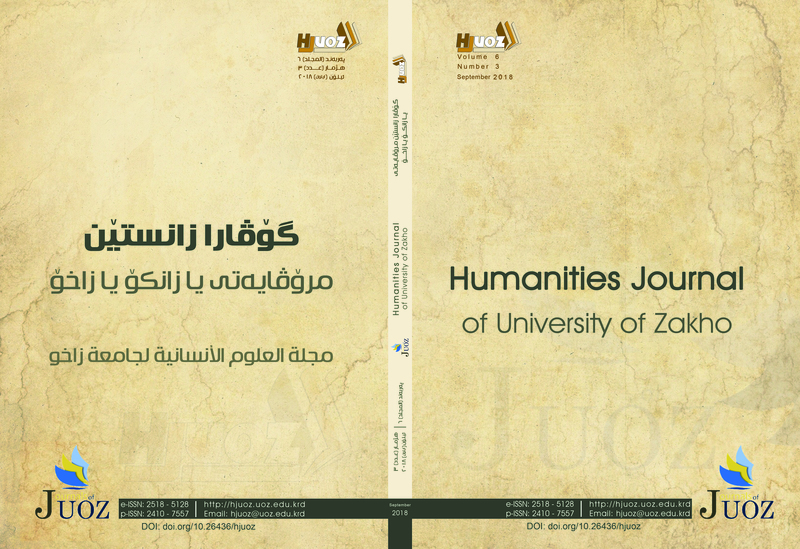 & Zaim, H., (2012), Talent Management in Four Stages, The USV Annals of Economics and Public Administration, Vol. 12, No. 1, p (130-137). Neidzwiecka, K., (2016), Talent Management as a Key Aspect of Human Resources Management Strategy in Contemporary Enterprise, Managing Innovation and Diversity Management; in Knowledge Society; Knowledge and Learning through Turbulent Time, 25-27 May, Timisoara, Romania. Dussault, G., (1999), Human Resources Development: The Challenge of Health Sector Reform, University of Montreal, Canada. Swanson, R.A. & Holton, E.F., (2008), Foundations of Human Resource Development, 1st Edition, Berrett-Koehler Publishers Inc., California, USA. Thunnissen, M.A.G., (2015), Talent Management in Academia: An Exploratory Study in Dutch Universities Using a Multi-Dimensional Approach, www.dspace.library.uu.nl.